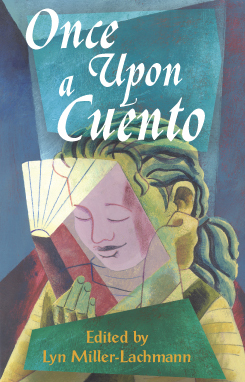 Once Upon a Cuento is an anthology of short stories by contemporary Latina/o authors. The stories, written for young people, grade five and up, explore heritage and -history, identity, language, and relationships from the perspective of Mexican-American, Cuban-American, Dominican-American, and Puerto Rican writers. In all, the collection features seventeen stories by well-known and emerging writers, most of which are original to this collection. Contributors include acclaimed Puerto Rican children’s authors Nicholasa Mohr and Carmen T. Bernier-Grand; Cuban-American novelist, essayist, and poet Virgil Suárez; and Mexican-American short story writers and teachers Lorraine López and Sergio Troncoso. The stories are grouped by theme-heritage, holidays, and contemporary culture; family life; friends and other relationships; and dealing with differences. 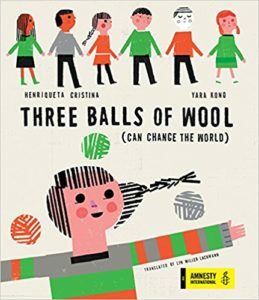 Individual stories explore additional themes such as the challenge of making do with little money, the process of moving to a new country and learning English, and young people’s relationships to animals and to the natural world. Each story contains an introduction that offers historical, cultural, and biographical information. A general introduction and list of works by the thirteen contributors offer further avenues for research and discussion. A playwriting activity that encourages students to identify and visualize scenes and a story writing activity that encourages English Language Learners to imagine their lives as a TV show. Once Upon a Cuento, Curbstone Books, ISBN-13: 978-1880684993.